31 May 2014: A Chevy what??? 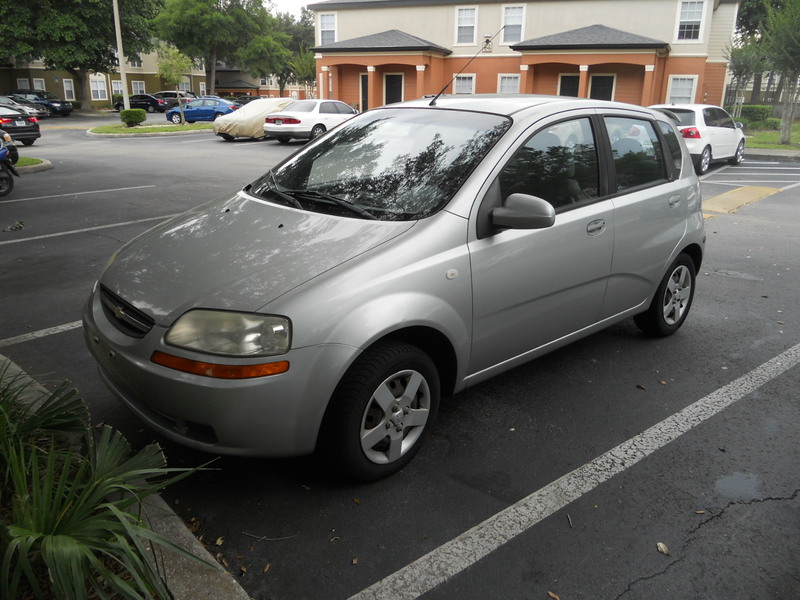 So as a reader of my books, did you ever wonder what a Chevy Aveo looks like? Oh sure you did, come on, admit it. How many of them do you see on the road anyway? Yes, Sara drives an Aveo … and so do I. In case you’re still curious, here’s a photo of what my little baby looks like. 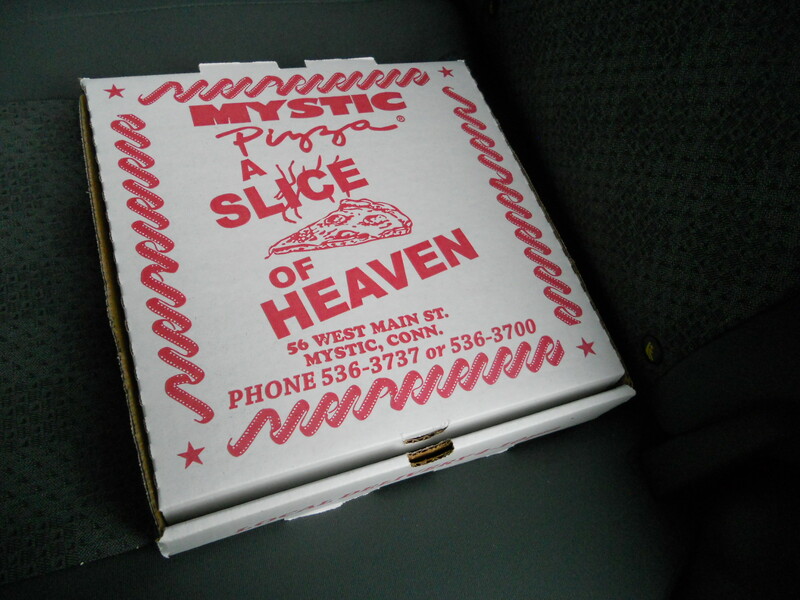 Also what the New Paltz Alumni sticker on the back and the Mystic Pizza take out box that’s under my front seat looks like. (Don’t freak out, it’s empty) Why do I have an empty take out box under the front seat of my car you ask? Well, you wouldn’t be the first to ask that question. What can I say, it’s been a year and a half since I’ve enjoyed their delicious pizza and I just can’t seem to take it out of my car. It’s sort of a reminder to go back next time I’m in CT. 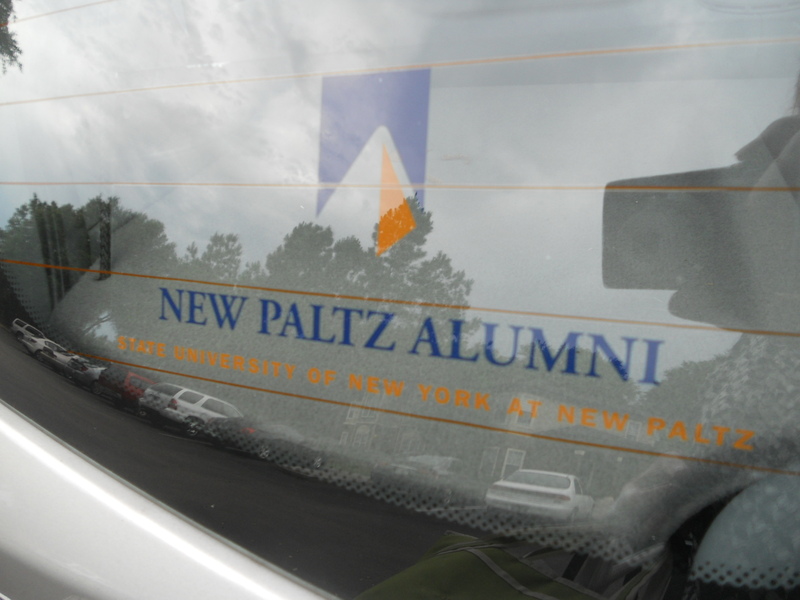 So if you’re stopped at a light somewhere behind a little silver Aveo with a New Paltz Alumni sticker being driven by a red head, don’t’ freak out. It’s not Sara, it’s just me. Mystic Pizza. A Slice of Heaven?? Believe me, this is not false advertising.